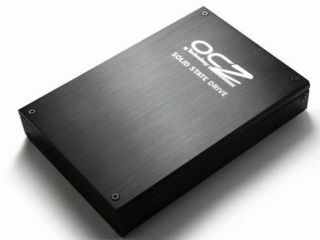 OCZ has declared that it will partner up with Symwave to deliver next generation SuperSpeed USB devices – with a high-performance external solid-state drive the first product. The USB 3.0 external SSD will be shown off at CES, and the partnership between flash-based storage experts OCZ and Symwave is apparently just getting started, with more SuperSpeed USB products in the pipeline. "Thanks to Symwave's industry leading USB 3.0 storage controller, our external SSD device delivers 10x the transfer rate of USB 2.0 at 5Gb/s, as well as several 'green' improvements including superior power management and lower CPU utilization," said Eugene Chang, Vice President of Product Management at the OCZ Technology Group. "We are determined to be at the forefront of the market by offering products with unparalleled performance, reliability, and design to unleash the potential of flash-based storage." Symwave's expertise in SuperSpeed USB apparently helped in OCZ in providing what it describes as 'cutting-edge solutions making use of the new USB 3.0 standard'. "OCZ's products are synonymous with high performance. Combining our USB 3.0 controller with their SSD technology, both architected for performance without compromise, is a perfect match," said John O'Neill, Vice President of Marketing at Symwave. "CES will be a showcase for new and innovative products that provide consumers with a dramatically improved user experience. "Symwave is committed to delivering silicon and software solutions that will transform the way consumers view and use USB storage devices."